SR Packaging has captured the colours of the rainbow and combined them with an oblique head for the company's latest lipgloss tubes. SR Packaging, one of Asia's premier packaging companies to offer a variety of enhanced packaging solutions with the most current decorating capabilities, has introduced a water transfer decoration technique to its repertoire of decoration options. SR Packaging introduces the stylish, crystal-clear surlyn cap to add further luxurious style to perfume and fragrance packaging. 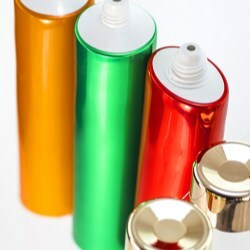 SRP's squeezable, special metallic coating: A new phase of packaging surface technology for rigid containers. SR Packaging has developed a brand new packaging surface decoration technology for rigid containers comprised of less plastic or a thinner plastic layer - the "squeezable metallic special coating". Different to the metallic flat finish brought by the vacuum metallizing process, the squeezable metallic special coating provides a vivid light reflection on metallic coated objects. Its flexibility on coated objects extends the metallic glow across a complete aspect of visual angles. SR Packaging has developed a new product line for fragrance packaging components that could dramatically improve the quality of dispensing. SRP's perfume sprayer offers an excellent, leakage-free mechanism, a quality that is necessary in almost every dispensing packaging type. 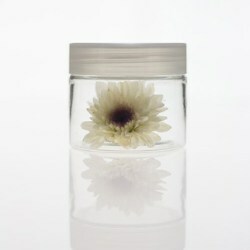 SR Packaging has just launched a brand new range of thick wall PETG jars. 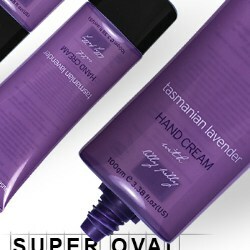 The line has been designed specifically for medical and beauty treatments which require chemical and oil resistance as well as a good oxygen barrier. The jars have been developed in four specifications from an 8g size suitable for miniatures, make-up, lip balm and cosmetics through to a 50g size, perfect for powder, cream, ointment or gel products. 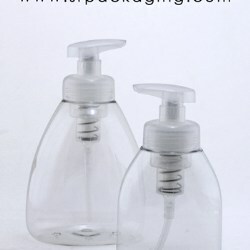 The trigger sprayer is a symbolic household cleaning packaging accessory and is currently one of the most common dispensing products in the world. 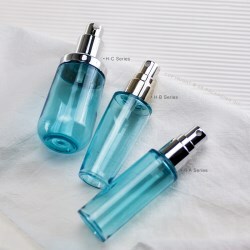 It can also be seen used with a vast number of beauty and cosmetic products by adopting a simple micro-trigger sprayer to use a fine mist output. SR Packaging has recently added the fine mist trigger sprayer to its current product offering which also includes PET containers, plastic tubes, kilner jars, and many other packaging types for the beauty and cosmetic industries. Packaging IS more than a matter of product protection. It fosters product presentation, usage instruction, and carries branding messages. 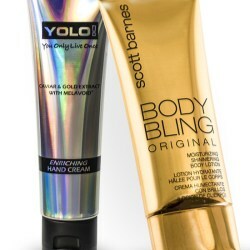 When it comes down to it, packaging is a pretty big deal with regard to a product. It’s the minutiae that makes packaging interesting. As such, there are countless ways to decorate packaging, and most of those are known technologies used throughout various industries. 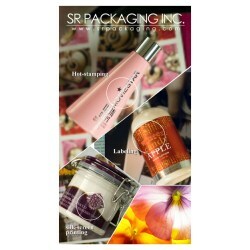 SR Packaging is a Taiwanese firm that offers packaging solutions tor beauty and cosmetic companies worldwide. The firm's latest straight-lined container made of PET not only benefits those companies looking for a safe, compatible packaging solution for delicate skin care products, it also provides a sleek design that satisfies branding requirements. 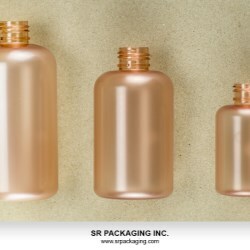 In order to complete its sleek look, SR Packaging sets an overcap on the pack that continues its straight-lined look from bottom of the bottle all the way to the top. It is indeed representative of the simplicity of modernized utility. In order to increase overall production capacity and to provide a complete blow-molding packaging solution, including multiple decoration services, SR Packaging has opened a new plant in Shanghai. The new facility includes equipment for blow molding packaging production, packaging decoration processes, and auto-assembly production lines. 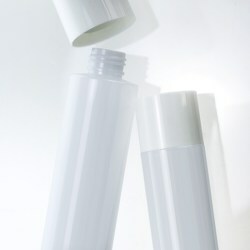 Plastic tubes are one of the most applied packaging solutions across many different sectors. As the needs of the development for various types of tube printing are usually based on the indicated marketing messages, SRP has introduced tube printing with a hollow pattern look to reinforce a product's value, assentuated by a holographic shimmering glow. Metallizing a piece of packaging is a process that not only adds a premium air to a product, it also offers added protection and keeps a product safe from chemical corrosion and oxidation. Metallized components offer a massive improvement to the aesthetic appeal of a piece of packaging, with better scratch resistance compared to non-metallized items. 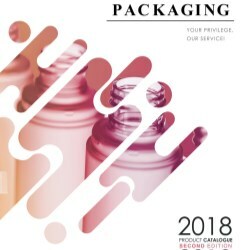 SR Packaging, one of Asia's premier packaging firms offering a variety of packaging solutions and decorating applications, has recently introduced a premium decorating capability for the beauty and cosmetic packaging sectors. Aluminum components directly benefit from the inherent property of offering light, high quality that meshes perfectly with SRP's skilful decoration to create brushed metal. 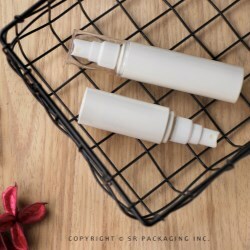 Ceramic and zinc alloy applicators are the latest in advanced tube applications to be introduced by SR Packaging, the packaging manufacturer that has helped numerous international companies on provide up-scale packaging solutions. 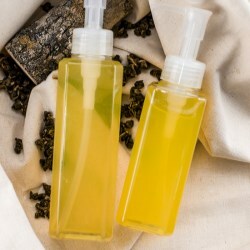 These two entirely different materials share the same traits in that they add viability and calm sensitive skin conditions when applying products. Whether a ceramic or a zinc alloy, both applicators are non-toxic, high density - enduring under continual or hard usage and highly resistant to chemicals & oxidation. The exquisite solitary charm of a single diamond is associated with the ultimate debonair taste in luxury. 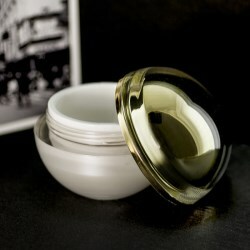 Employing the form of the precious stone, SR Packaging introduces the exclusive diamond-shaped cosmetic jar. 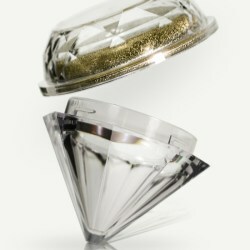 SR Packaging's latest launch of the diamond-shaped cosmetic jar is the result of skilful mold tooling, several decoration techniques and the knowledge to choose the right material for the job - PCTA. PET is a phenomenal material. The problem is, when creating containers out of PET, companies tend to approach the material as they would others, using the same proportions, sizing, and thicknesses that they would with other products. A standard PET product, however, isn't going to cut it in the luxury space, where consumers are accustomed to a higher level of quality. SR Packaging has a slightly different approach. 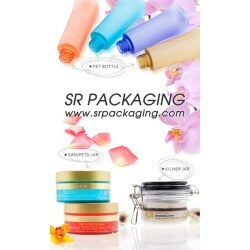 Based in Taiwan, SR Packaging is one of the most famous packaging providers known worldwide. With its local service in Japan, China, North America, SR Packaging satisfies companies with not only the quality of packaging but also the added value given to products. The general consensus when presenting beauty and cosmetic items is that of exhibiting a veneer of luxuriousness and prettiness as well as an aura of mystique. SR Packaging achieves further fascination from the eye by selecting PMMA as the major material to to create charisma and a sense of glamour, teasing the retina to want to see more. 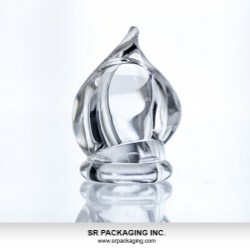 One of SR Packaging's recent approaches to presenting better packaging solutions has been perfecting the skilful technique of producing a crystal-like moulded PET bottle. Using this technique, SRP has released its latest range, the colbalt blue coloured SG Collection, notable for its exceptional clarity. Inspired by classical European influences, the shape of the new SG Collection is derived from the Italian decanter. 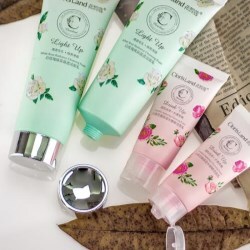 Cosmetic tube packaging is commonly seen in the flourishingly market of body care items: shower gels, shampoos, lotions and haircare products. 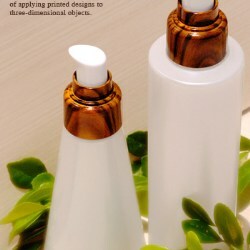 The purpose of using a tube as a first option is due to the number of features it provides, such as less plastic usage, flexibility of shaping, and adaptability to volume changes. 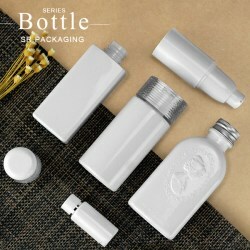 SR Packaging has provided packaging to the beauty and cosmetic market for decades, and kept its own pace of creating and moving forward on more astonishing products. The company, which was able to turn the phrase “tubes can cylindrical” into a reality, now clearly states “caps for tube can be square”. "Think outside the box" isn't just a saying at SR Packaging, it's standard operating procedure. 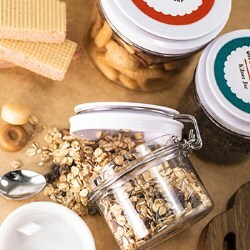 Hailing from Taiwan, SR Packaging has been working on this latest version of its kilner jar industriously, and the new version is expected to win companies over with its numerous current features. SR Packaging has been able to overcome a number of technical engineering obstacles which seemed insurmountable. 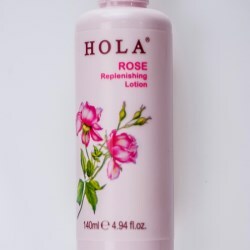 SR Packaging, global packaging supplier for the cosmetic and beauty markets, has adopted Flexographic printing, a fresh decorating method which is ideal for realizing delicate lines, images, patterns and dots within certain designs. Flexo printing does an immediate job of reproducing any desirable motif into a living artwork on tube packaging, elaborating creativity and immediately differentiates the product from others. The latest breakthrough innovation to be revealed by SRP is a whole new concept that may change cap decoration from here after. SRP has introduced a double walled closure comprised of PMMA acrylic. 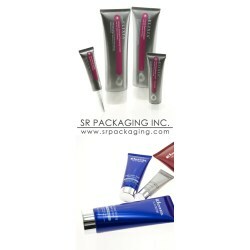 The closure was first unveiled for SR's cosmetic tube packaging to present a more upmarket outer cover steering well away from pre-conceived misconceptions of cheap shoddiness. PP is the latest material that SR Packaging has turned its eye to and transformed from commonplace plastic into 3 stunning, premium-look finishes: Ice wedge, water drop and holographic. Recyclable, resistant to fatigue and compatible with chemicals, PP is the perfect choice for a number of cosmetic packaging selections. 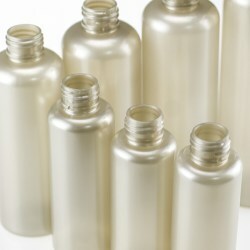 The latest product release by SR Packaging is a range of 15 PET bottles in a simple, classic round shape. 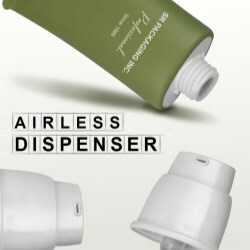 The highly compatible design makes the series suitable to combine with all kinds of closures so a range with screw caps, disc caps, flip-tops, sprayers, lotion dispensers and more could all be incorporated together as required. 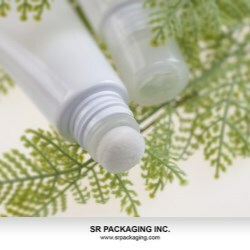 SR packaging, a professional Taiwanese manufacturer of injection, extrusion, and blow molded plastic components since 1989, has been increasing and enhancing the finishing and decoration techniques available to clients intensively throughout the past year. The latest process on offer is the 'flow banding texture for PP caps' which gives PP caps a finish that looks similar to marble or granite through the use of PP resin. SR Packaging has launched a high-tech massaging applicator. 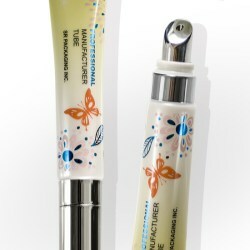 Not only is the zinc alloy applicator soothing and smoothing to the fragile skin around the contour of the eyes, but also provides a precise dispensing control so users don't apply too much product to the delicate area and risk seepage into the eyes. 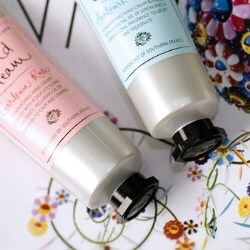 The latest tube to be released by professional Taiwanese manufacturer SR Packaging is glorious. 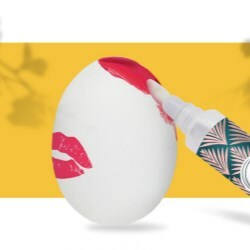 Incredibly practicable, perfect for both eyes or lips, the multi-functional tube with ceramic applicator instantly cools down 3 degrees Celsius when it is rubbed on your face or lips as the ceramic applicator provides a unique cooling massaging sensation! 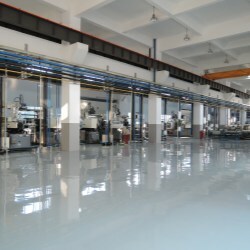 SR packaging, a professional Taiwanese manufacturer of injection, extrusion, and blow molded plastic components since 1989, has been increasing and enhancing the finishing and decoration techniques available to clients. The latest process on offer is the 'double coat anodizing aluminium method' a process which offers caps with aluminium shrouds a stunning finish. It's not been long since the highly successful launch of the Polylami Tube by SR Packaging, a professional Taiwanese manufacturer of injection, extrusion, and blow molded and other plastic components. Compatible with both acid and alkaline products, the tube's success was through its impermeable properties, protecting contents over long periods of time, despite intermittent use. 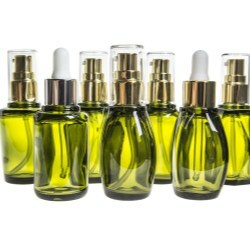 Well known as an excellent manufacturer of packaging solutions for the beauty and skin care markets, SR Packaging has a wide range of products and is at the forefront of market trends when it comes to introducing product innovations. 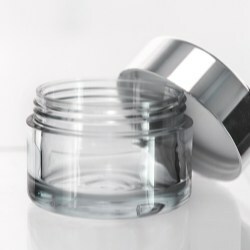 The latest innovation is a glass-like heavy wall 50ml PET jar offering consumers crystal clear transparency that highlights the product within and benefits a rigid, heavy feel. SR packaging, a professional Taiwanese manufacturer of injection, extrusion, and blow molded and other plastic components since 1989, has launched the ground breaking, stunningly finished Polylami tube. The impermeable and impenetrable properties of foil provide superior protection to contents, keeping them fresh and uncontaminated even through long periods of intermittent use. SR Packaging has produced a tube with an ophthalmic applicator which not only controls the dispensing amount in smaller and more precise dosages, but also prevents the inner bulk content residue from drying out. 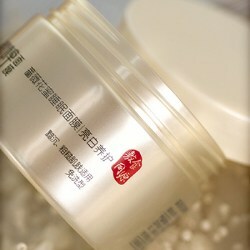 In its bid to be the first and only one-stop-shop for customers seeking a reliable and strategic partner in Asia, Taiwan's SR Packaging is continually updating its customer offerings for those looking to differentiate their product from the crowd and offers some of the cleanest and most meticulous hot stamping on the market to its broad range of decoration offerings. Unlike using the traditional lock-in method with a stainless steel clasp,SR Packaging's new Kilner Jar uses a screw-on mechanism. This enhancement not only gives the signature item an easy-to-use user interface, but also a contemporary look. SR Packaging, a professional Taiwanese manufacturer of injection, extrusion, and blow molded plastic components since 1989, is now offering decoration capabilities. 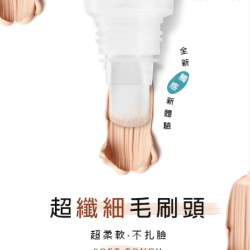 To embrace 2014, SR packaging introduces: dazzling-like pearlescent, explosive metalized effect, hydrographic, marble effect, wood grain effect, and more. SR packaging, a professional Taiwanese manufacturer of injection, extrusion, and blow molded and other plastic components since 1989, is now extending its decoration capability. 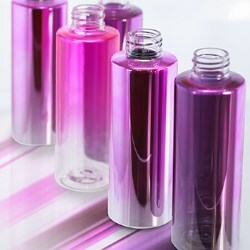 The company now offers vacuum metalizing in opaque, translucent, semi-translucent, and graduation metal sheen effect. SR packaging, a professional Taiwanese manufacturer of injection, extrusion, and blow molded plastic components since 1989, is now offering decoration capabilities. With the mixture of silkscreen printing, offset printing, gloss/matt (UV coating), enhancing the value of a typical product is easy. 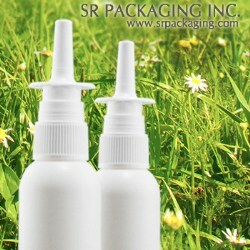 SR Packaging introduces its 100% environmentally friendly and bio-degradable TCoQ-X VG plastic resin. 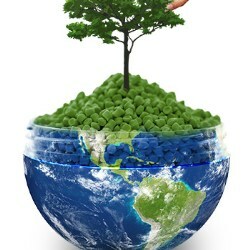 This specialty can be added into PET, LDPE, and PP plastic solutions, making the packaging solution 100% recyclable. 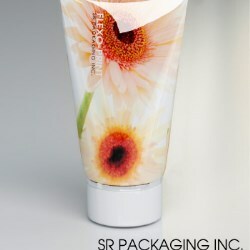 SR Packaging, a Taiwanese firm with a high level of expertise in manufacturing injection, extrusion and blow-moulded plastic components, is now introducing flexo-Printing techniques that can be applied to popular PE tubes like the Super Oval Tube. The new printing technology allows companies to print poster quality images directly onto the full surface of tubes and other flexible packaging items for shelf-popping character. SR Packaging, manufacturers of plastic, injection and blow-molded components, is now offering a pearlescent decoration option in various colours. This decoration is available for PP, PE, PET-G, SAN and PET based packaging solutions that require high visual impact. 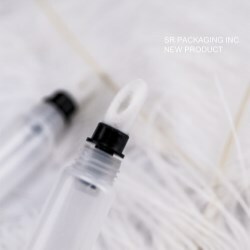 SR packaging, a professional Taiwanese manufacturer of injection, extrusion, and blow molded plastic components since 1989, is now introducing the 50ml fill PP jar in gloss and injection matte, extending the group’s depth in production portfolio to another level. "SR Packaging is always in pursuit of creating more satisfying, innovative products and services for clients," says senior designer UoUo. SRP's Back Suction Pumps are ideal for lotions, liquids and oil products. 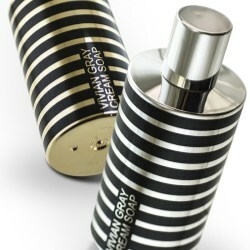 Their back suction component ensures that the vanity table stays nice and clean. 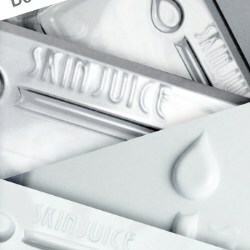 And now the pumps highlight an aluminium shroud, giving any cosmetic series a premium, trendy look and feel. SR Packaging introduces its extended range of hydrographic printed innovations (a.k.a. immersion printing or water transfer printing), from PE tube closures to bottle dispensers. 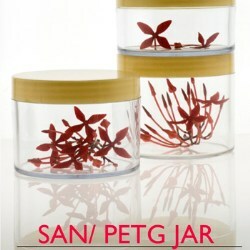 The new PP jar collection by SR Packaging is available in 35ml to 300ml. 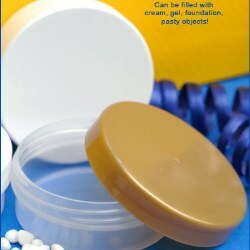 These containers are ideal for make-up creams, gels, and clay-based products of any kind. With the SRP in-house decoration capabilities, the company is able to bring its customers the eye candy that attracts a product’s targeted segment. SR Packaging now offers embossed and debossed logos and patterns across their entire product portfolio. 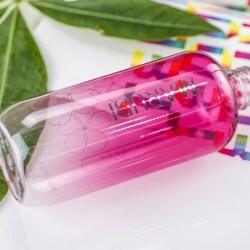 With a height capacity of 0.2mm - 1mm on embossed items, SR packaging is able to apply such decoration methods to toners, lotions, make-up removing oil bottles, among others, for a personalized branding impact. SR Packaging is extending its decoration capabilities by now offering services for embossing logos on aluminum shell closures. This technique is perfect for sprayers, lotions, oils, and foam pumps. Hydrographics, also known as immersion printing or water transfer printing, is a method of applying printed designs to three-dimensional objects. With multiple dippings, hydrographic printing can achieve full 360° coverage of the part surface, including small crevices. The new decoration option is one of the ways that SR Packaging cements its position as a leader in the region for decoration option variety. SR packaging is extending its production capability by investing in injection stretch blow (one step) machines. These efforts have led to successes such as the company's new Travel Kit, made with strength, clarity, and a high-quality, injection molded neck finish, which was designed in part to satisfy a major player in the cosmetic space which SRP will announce in the coming weeks. 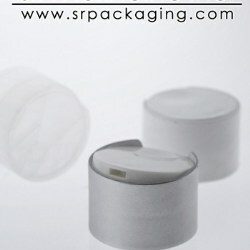 SR Packaging is a Taiwanese company that manufactures injection, extrusion, and blow-molded plastic components. The company produces premium products that always come with high-quality gears. 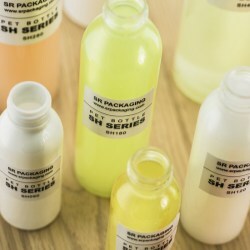 On top of SR packaging’s various PET bottles and jars, they also host tremendous combo packaging solutions, specifically matching dispenser and caps that are perfect for highlighting unique lotion and oil brands. 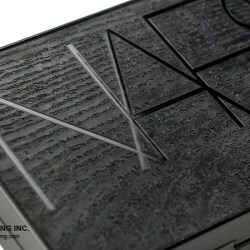 SR Packaging, a Taiwanese firm with a high degree of expertise in manufacturing injection, extrusion and blow-moulded plastic components since 1989, is now introducing flexo-printing techniques, providing clients with yet another way to distinguish themselves on shelves. The new printing technology allows companies to print poster-quality images directly onto the full surface of tubes and other flexible packaging items. SR packaging, a professional Taiwanese manufacturer of injection, extrusion, and blow molded and other plastic components since 1989, is now introducing the ground breaking, stunningly innovative fabric finish PE tube with a paper-like feel. 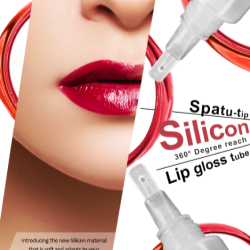 SR Packaging, a professional manufacturer of injection, extrusion, and blow molded plastic components, has recently introduced a new lip gloss tube into the mix. 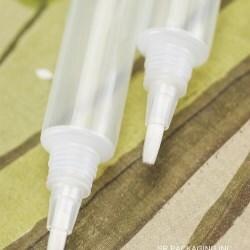 These tubes come with both round and slanted dispensing tops, each option allowing for smooth and precise application. 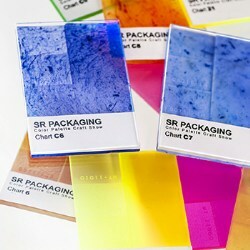 SR Packaging has worked hard to earn its reputation for supplying high-quality products, and has been doing so since 1989. The new Dia.40 PP cap, offering a perfectly flush fit, is compatible with the company's PE round tubes available in single, double, and 5-layer co-extruded plastic with EVOH in between. 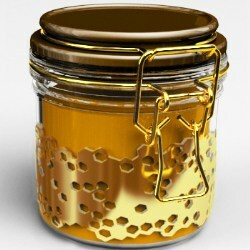 The newest concept from SR packaging, a customized and decorative metal shell for kilner jars, came out of a full-fledged team effort of putting tailor-made clothing / accessories on the kilner jar and making it appealing to certain groups of the market. SRP's new octagonal cap is not a personal fashion accessory, it's a new option for PE tubes, with an interesting and attractive new shape that's also ergonomic. Striving to excel and passionate for new product developments on a regular basis, SR packaging is a professional Taiwanese manufacturer of injection, extrusion, and blow molded plastic components, and has been since 1989. 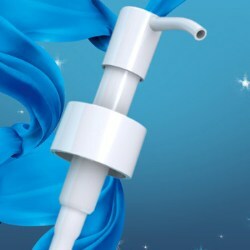 A new line of foam pumps (patent number: 201220025366.0) has been introduced, guaranteed to make a splash in the personal care sector. The D40 foam pump and family size bottles are sold exclusively by SR Packaging, a Taiwanese firm manufacturing injection, extrusion, and blow-molded plastic components since 1989. SR Packaging has introduced a full range of in-house decoration capabilities for its PET containers with over 1,000 items available. The entire range is customizable and can be decorated with a wide range of decoration techniques, all done in one place, at the company's state of the art facilities in Taiwan. 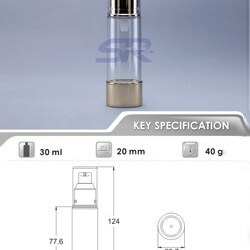 SR packaging has added a new 5ml bottle to its line, which comes equipped with both a mist sprayer and lotion pump cap. Due to their pocket size, the bottles are both handy and portable - ideal for marketing efforts, such as gift set promotions and sampling. 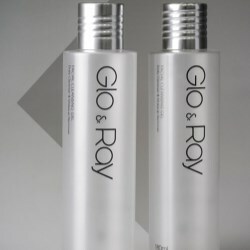 With a precise dose of 0.10ml, the mist sprayer and lotion pump allow contents to be easily absorbed by the skin. 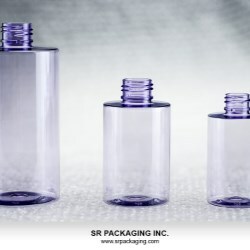 SR packaging, a professional Taiwanese manufacturer of injection, extrusion, and blow molded plastic components since 1989, has introduced a new poly carbonate to its large format kilner jars, offering a less expensive and more resilient alternative to traditional glass substitutes. SR packaging, a professional Taiwanese manufacturer of injection, extrusion, and blow molded plastic components since 1989,has introduced the ultra-thick wall PET jar (GH070080). 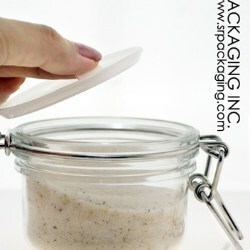 This innovative jar offers an extended degree of protection and quality. 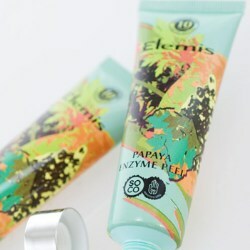 It’s an ideal container for cosmetic and personal care products, offering a great post-purchase experience. 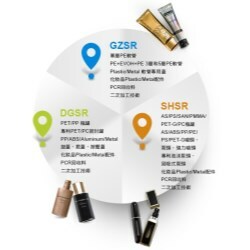 SR Packaging, a Taiwanese firm manufacturing injection, extrusion, and blow-moulded plastic components, has released a new line of new and innovative roll-on tubes with a metallic roller ball. 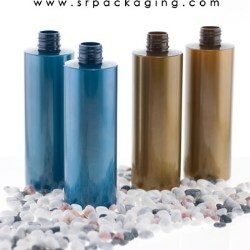 Packaging containers made with post-consumption recycled PET, PP and PE are available in SR Packaging Inc. 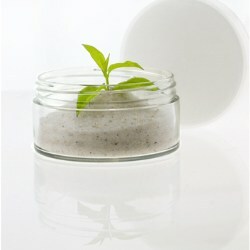 Using recycled bottles and jars for storing purposes is a very attractive way to help saving the planet. Every month, SR Packaging produces millions of containers, two of it's biggest sellers being bottles and tubes. With one of Asia's widest range of decoration options available, the company has consolidated its position as the place to go for customized decoration projects for packaging buyers the world over. 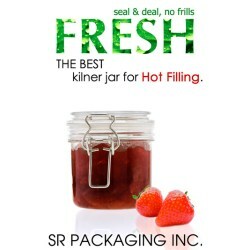 SR packaging, a professional Taiwanese manufacturer of injection, extrusion, and blow molded plastic components since 1989, is now offering a high barrier inner plug for its kilner jar series, offering an exceptional degree of extended freshness and anti-leakage properties. 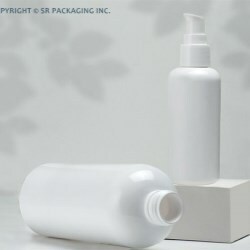 SR packaging, a Taiwanese provider of injection, extrusion, and blow molded plastic components since 1989, has extended its product portfolio by introducing the "Phantom White" pump, a PP foam dispenser, offering alternative solutions for the cosmetic and personal hygiene industries. 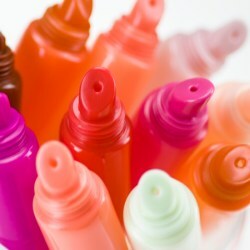 Dispensing liquids that are not viscous (meaning they are not thick enough to stay put) can be a challenge. 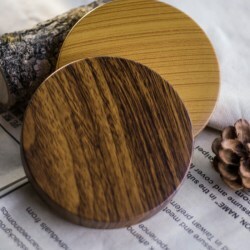 In particular, thin oils can be troublesome, due to the residue or drops they can leave behind. 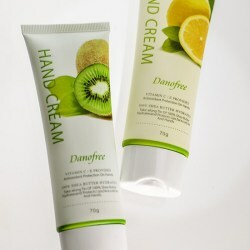 Many products fail on the market as the product's packaging annoys consumers after a few weeks' usage. 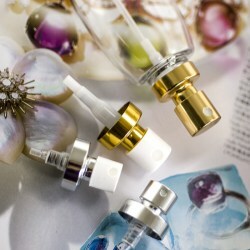 SR Packaging, one of Taiwan's premier cosmetic packaging designers and manufacturers, has developed and launched a 1 CC "perfect dose" pump dispenser that virtually does away with residue on the spout tip. 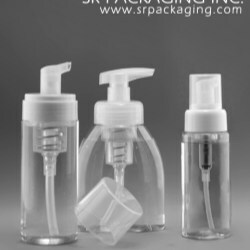 SR Packaging has manufactured injection-, extrusion-, and blow-molded plastic components since 1989. 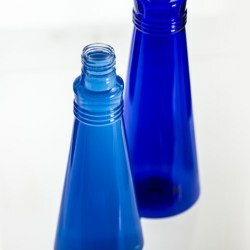 Its products include bottles and jars made of PET, PETG, PE, PP, PS, PC, SAN, ABS, PMMA, glass, aluminum, and tin, which means the firm can pretty much make anything. SRP maintains five ISO-certified factories in China, which all together manufacture more than 30 million bottles and tubes each month. 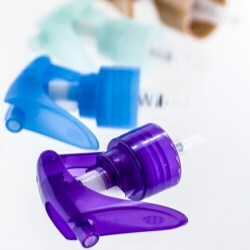 Recently, the company announced it would be releasing a new item for the pharma market, a new and full nasal sprayer solution. Most consumers lack the time to get their lashes looking their best, and often run out the door in the morning with blotchy eyes. 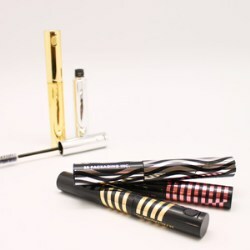 That's why SR Packaging, one of Taiwan's most innovative cosmetic packaging firms, has released its line of Motion Mascara containers and applicators. 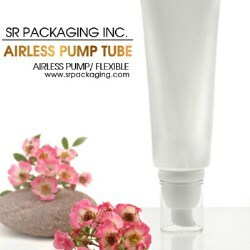 SR Packaging has released a new and innovative hard tube that boasts a variety of advantages: it's airless, it features a simple and precise pump dispenser, and as mentioned, is a simple yet firm tube that provides a useful and inexpensive alternative to more cumbersome airless solutions that won't deform like soft tubes as the product gets used up. Different sorts of plastics have been making their way into more and more products lately, due to the fact that many companies are becoming more conscious of the materials they use for their packaging. 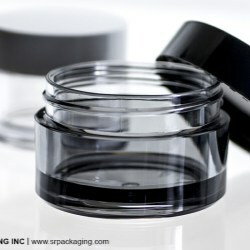 Each has benefits and drawbacks, one of the primary reasons SR Packaging has released a new line of jars available in either SAN or PET-G, according to the specific needs a company indicates when it decides to purchase a packaging range. 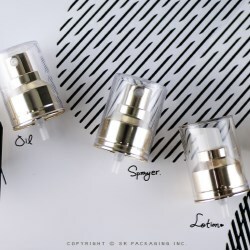 SR Packaging, long known for being an innovator within the cosmetic and personal care packaging sectors and headquartered in Asia, has released updated versions of its airless pump dispensers, featuring staggeringly accurate dosing. 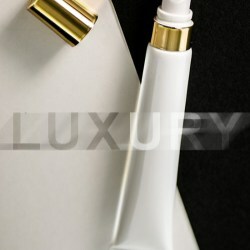 The output is calibrated precisely to a perfect 0.18cc, the ideal does for a luxury product. SR Packaging, a Taiwanese firm manufacturing injection-, extrusion-, and blow-moulded plastic components, has incorporated a new decoration process into its arsenal of techniques, providing clients with yet another way to distinguish themselves on shelves. The new printing technology allows companies to print poster-quality imagery directly onto the full surface of tubes and other flexible packaging items. SR Packaging, a Taiwanese firm manufacturing injection-, extrusion-, and blow-moulded plastic components, has incorporated a new decoration process into its arsenal of techniques, providing clients with yet another way to distinguish themselves on shelves. 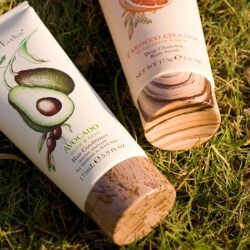 SR Packaging has worked hard to acquire its reputation for supplying high-quality products to the cosmetic sector. 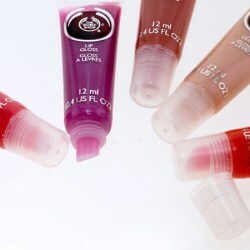 A good indication of the quantity and quality of their product portfolio is the company’s range of tubes. 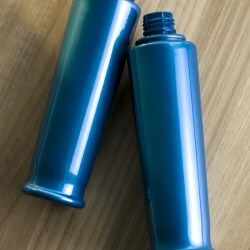 The firm manufactures millions of bottles and tubes each month, and come in a large variety of applicators and caps design to choose from. SRP, an Asian manufacturer of plastic components for the cosmetic and personal care industries, is moving into a broader range of markets by introducing its new multi-purpose PET jar, especially useful for showing off attractively coloured products. 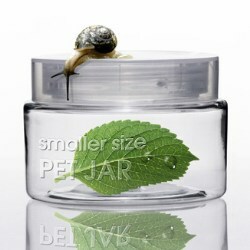 The jar is also heavy for a jar, the greater weight translating into a product many consumers prefer for its heft. SRP, one of China’s largest producers of plastic bottles, jars and dispensers, has enjoyed great success with its 1cc oil pumps that feature a special no-drip mechanism. Now, various cosmetic firms have not only adopted the dispenser, they have also run leakage tests that have proven favourable. 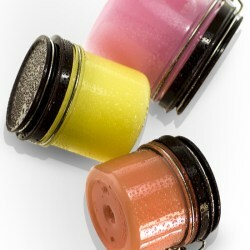 SR Packaging’s low profile jars are simple, elegant and best of all, are made of PET (Polyethylene terephthalate) plastic, one of modern technology’s most easily-recycled plastics available and a boon to any company looking to satisfy sustainability requirements. Small versions of these jars (under 100ml) are now available! 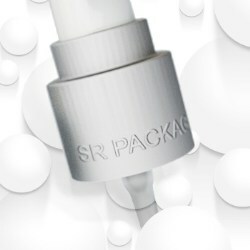 SR Packaging has developed a new airless pump that provides stable dosage dispensing even with the high viscosity products. They come in different volumes with a variety of output dispensers with Japanese quality. 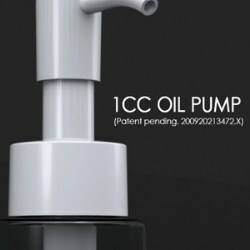 SR Packaging's new 1cc oil pump has been designed to eliminate messiness by incorporating a stunningly innovative mechanism that retro-pumps excess oil back into the container after the pump has been actuated. Say goodbye to messy oil drippage.